I owe my enjoyment of this YA book to Mara (Book Marauder), it starts slowly and I wasn’t sure if I would finish but she encouraged me to stick with it. I’m so glad I did because it blossomed into a touching story about friendship, family, & finding happiness in loss. The story follows Sydney, a regular teenager in a regular town, at a regular high school. But when the book opens in a court room where her older brother is sentenced to prison time, we quickly realise that not everything in her life is exactly normal. Despite the brother she looked up to spiraling out of control Sydney is well-adjusted and easy to relate to. Dessen does not shy away from writing about loneliness, guilt, and the feelings of obligation that come with being a sibling. 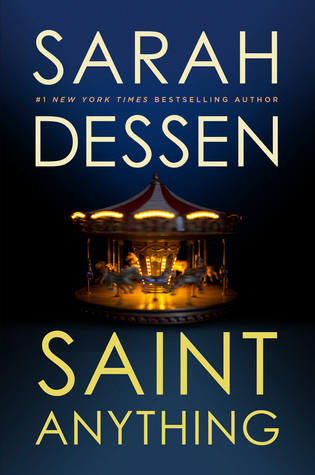 The love story unfolds slowly, so slowly in fact that I didn’t catch on at first, but I am sure Sarah Dessen fans will be quicker on the uptake than me! The love story is my favourite part of this novel, mostly because it reminded me so much of my own teen romance – even down to driving around on pizza deliveries! Dessen avoids the frustrating ‘you lied to me’ reveal cliches that are so common in YA romances, and shows both clear communication and forgiveness, which are far more realistic representations of how relationships (and friendships) actually unfold. YA contemporary is not something I have read much of, but the gentle observations about life and growing up really appealed to me, and I would definitely recommend this to teens in my life.